Our specialists manage the movement, warehousing and delivery of materials to keep your production lines running smoothly. Our logistics team manage the movement, warehouse and delivery of materials in order to keep your production lines and inventories flowing as smoothly as possible. Working from your company’s forecasts for the coming year and continuously monitoring real-time events, we are able to deliver your shipments directly to you, even when requirements are fluctuating on a day-to-day basis. We ensure that all customers are given their own account manager who will oversee the entire transportation process and is on call to answer any queries, such as expected delivery times or if further supplies can be added to the order. By having this dedicated port-of-call, you will be able to monitor and access the real-time movement of your shipments. We work to ISO 9001:2015 standards, ensuring all parts are handled with care and delivered in pristine condition and in addition to this all orders are carefully packed using shielded, conductive or vacuum sealed packaging where necessary. If required, our team of in-house specialists can also work alongside an existing structure to help your team deliver noticeable cost-savings through the simplification of transportation networks. Doing so will not only save your business but by reducing inefficiencies across your supply chain, you can also gain a competitive advantage over rival firms. Our transportation partners include many of the world’s leading logistic providers, such as DHL, Fedex and UPS. Our average requirement to delivery turnaround time is an average of 24-48 hours. How will we help improve your supply chain? 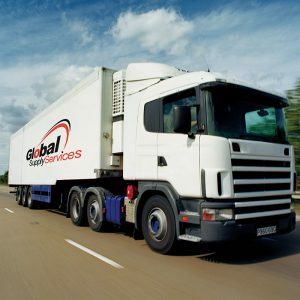 For over fifteen years, Global Supply Services has been helping manufacturers across Europe unlock strategic savings across all stages of their supply chain.